A cursory examination of the premise for this latest in a line of Tom Cruise vehicles, one cannot help but think of Pixar’s recent classicWALL-E.
Set in a desolate future Earth, Oblivion follows the travails of Tom Cruise’s Jack Harper, a military drone repair man tasked with maintaining the machines that fend off a mutant alien species. Not quite WALL-E live action but the comparison exists between the moderately thoughtful first half of Oblivion and the 2008 classic as we see Jack survey the remains of a ruined Earth collecting what interests him whilst fulfilling his weapons janitor detail. Jack and his wife/team partner Victoria, played interestingly by Andrea Riseborough who lends an inscrutable quality to an otherwise substantially under-written role, are overseeing the collection of remaining water supplies on Earth to send to a colony on a moon on Saturn. They’re due to join the remainder of humanity on Saturn’s Titan moon in a matter of weeks but everything is thrown out of flux when Jack discovers a crash landing pod and breaks protocol by bringing back the lone survivor played by Olga Kurylenko. 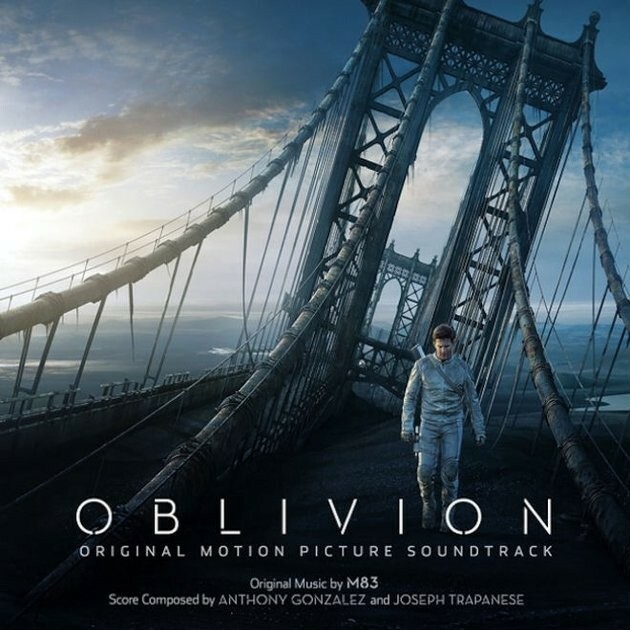 Watching Oblivion, the new sci-fi effort from Tron Legacy director Joseph Kosinski, whose last film inspired a sense of visual awe but little in the way of actual human interest, it becomes readily apparent where significant portions of aesthetic and plot have been plucked from recent science fiction outings that were themselves considered indebted to other works. Be it an aerial dogfight reminiscent of Star Wars or indeed its less heralded prequels, a design or machine threat from Terminator, a major plot twist that has shades of The Matrix (with Morgan Freeman essentially playing a compressed and altogether less interesting version of Laurence Fishburn’s Morpheus) but more closely a recent release (spoiler territory to say which). Then there’s the ending that struck me as drearily similar to two Will Smith sci-fi vehicles and curiously, presumably inadvertently, resemblance in the creature design here to the creature from Predator. As a result it’s extremely difficult to watch Oblivion without seeing often better like-minded efforts from which much of what’s on offer has been plundered looming over it. Without an idea of its own-adapted from Joseph Kosinski’s own unpublished graphic novel-or an engaging central performance from Tom Cruise who spends a hefty portion of the films first half on his own Oblivion just sits there and drags on for the better part of two hours. With regards to the latter I greatly enjoyed Cruise’s performance in last Christmas’ Jack Reacher. In that film he drove an otherwise unremarkable product with a witty, commanding performance. He’s on colourless form here, playing a blue collar working man. Given orders every day from a monitor by Melisa Leo’s supervisor (similar to Kevin Spacey’s role in Doug Jones Moon), he’s a curious man who resents having to abandon the Earth after winning the war against extra-terrestrial insurgents. So he is a worker and an ordinary guy. Easily sympathetic and relatable for sure but not terribly engaging, the thrillingly generically named Jack Harper feels like less of a human character and more of demo reel for Cruise to ride futuristic motor bikes, play an all-American hero and perform wire stunts – all of which can be said in varying degrees about other “star vehicles” the actor has spearheaded before but in the case of the Mission Impossible series or indeed Jack Reacher more brio and wit was provided. Oblivion wants to be taken seriously but the humourless and noticeably derivative approach do little in the way of actual excitement while the action set pieces in the film feel like a perfunctory after-thought however nicely designed they are. It doesn’t help that Cruise is unremarkably operating by himself whilst potentially interesting supporting players are left aside, though Andrea Riseborough does a lot with a limited part. Olga Kurylenko appears mid-way through leading to a decent sized plot twist I won’t spoil here. Morgan Freeman and Game of Thrones star Nikolaj Coster-Waldau pop up in glorified cameo roles. Their function in the story pertains to the mystery element attached to Kurylenko character reveal; if you’ve seen the trailer you should have a great idea where the story is going. Oblivion, like Kosinski’s Tron sequel, boasts a talented cast and beautiful visual design (I particularly liked Jack and Victoria’s house in the clouds whose interior looking over the world was achieved without computer effects) but the end product is a cold visual feast that postures as intelligent science fiction while the reality is it’s derivative enough to remove the distinction of being an early summer blockbuster that isn’t a reboot, sequel or established property. It’s a Tom Cruise vehicle, and it’s not an especially memorable one.